Designed to replace your old worn out distributor that is either currently running on points or has a tired electronic system. 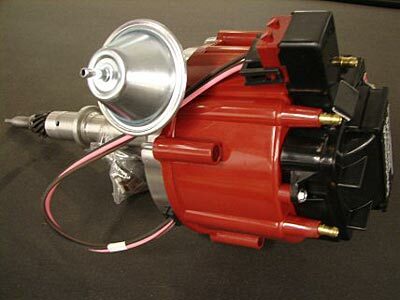 This distrubutor houses the coil directly on top of the cap thus eliminating the coil on the front fender or block. Yeah, it also has the vacuum advance diaphram on the side. Purchase this distributor with spiral core wire set, a must!